We aim to provide swimmers with exhilarating, challenging and safe events, whatever their age or ability. 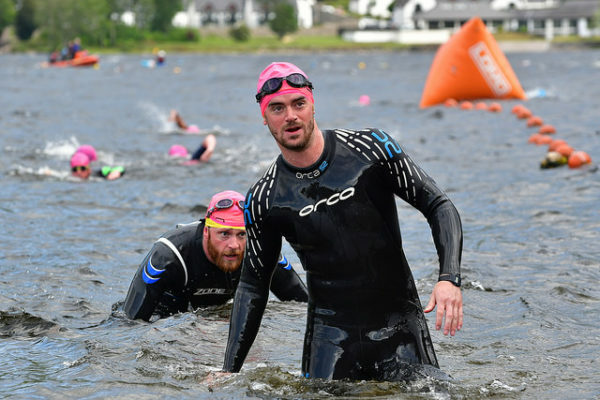 So, whether it’s your first time or you’re looking for your next adventure, get out of the pool and take the plunge with the Loch Tay Swim. Loch Tay is a freshwater loch in the central highlands of Scotland, 23km in length. 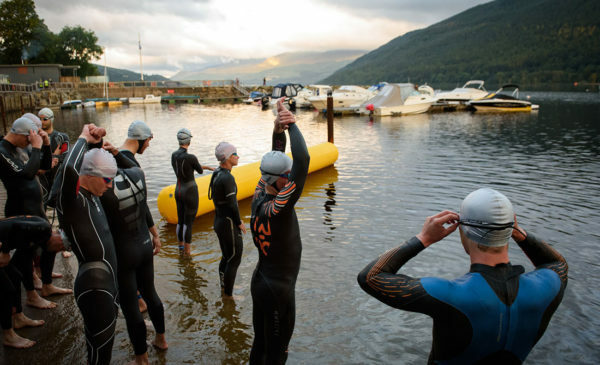 Taymouth Marina is located at the east end of the Loch and provides an ideal base for our Loch Tay Swim events. View the different swim options in the tabs below. 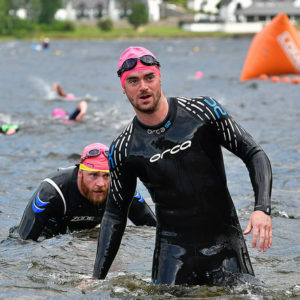 250 metres (the equivalent of 10 lengths of a standard 25 metre pool) of open water swimming/splashing/doggy-paddling in the beautiful waters of Loch Tay. A great Introduction into Open water swimming. This is a 750m swim which is equivalent to 30 lengths of a 25m Pool. Average completion time 20 minutes. This event is suitable for Entrants 12 years and over. 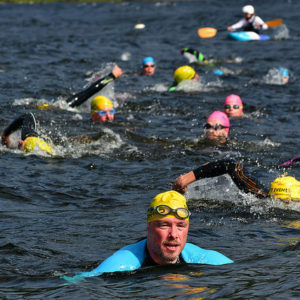 This swim is suitable for swimmers of all abilities. The distance is 1500m which is equivalent to 60 Lengths of a 25m swimming Pool. Average completion time 40 minutes, this event is suitable for those aged 16-years and above. 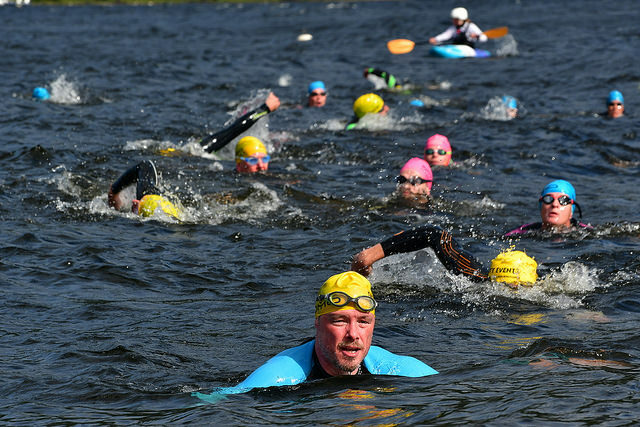 This 3000m distance swim is best suited to more experienced swimmers looking to go that little bit further. Equivalent to 120 lengths of a 25m swimming pool, swimmers must be able to reach 1500m (Half way) within an hour, Cut off times will apply to those that have not reached this point. All swimmers must be aged 18 or above. 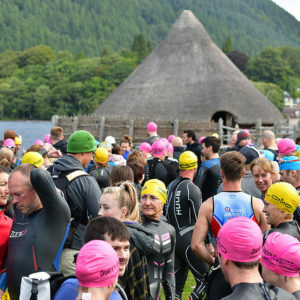 Event Briefing will be at the start line at the Taymouth Marina, Kenmore village, located at the east end of Loch Tay, and around 10km from Aberfeldy on the A827. Event car parking will be located at Taymouth Castle. Event Briefing will be at the start line near the Sports Pavilion in the grounds of Taymouth Castle. 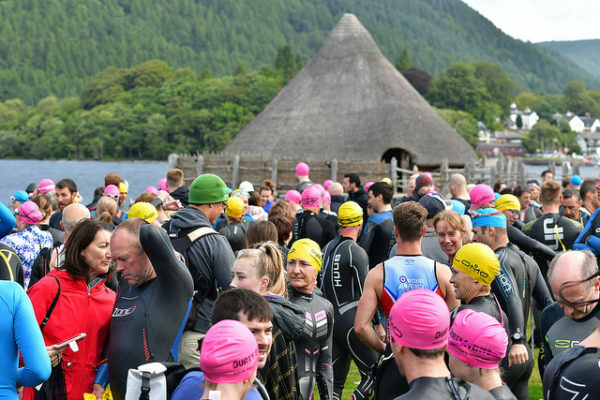 PLEASE NOTE: Race Start is not at the Race HQ, The Race Start is at Taymouth Marina, Race Briefings will be held at the race start area.